It may be the start of the Easter weekend, but it’s not too late to whip up some Easter bakes ahead of the big day. 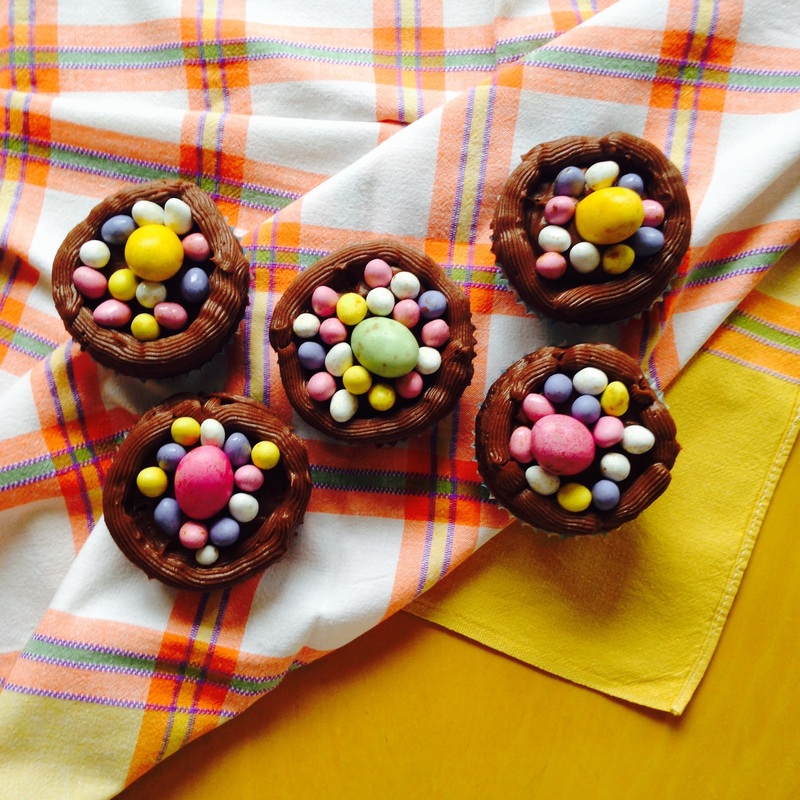 This Easter recipe is something for all you chocoholics out there: Gluten Free Chocolate Cupcake Nests. 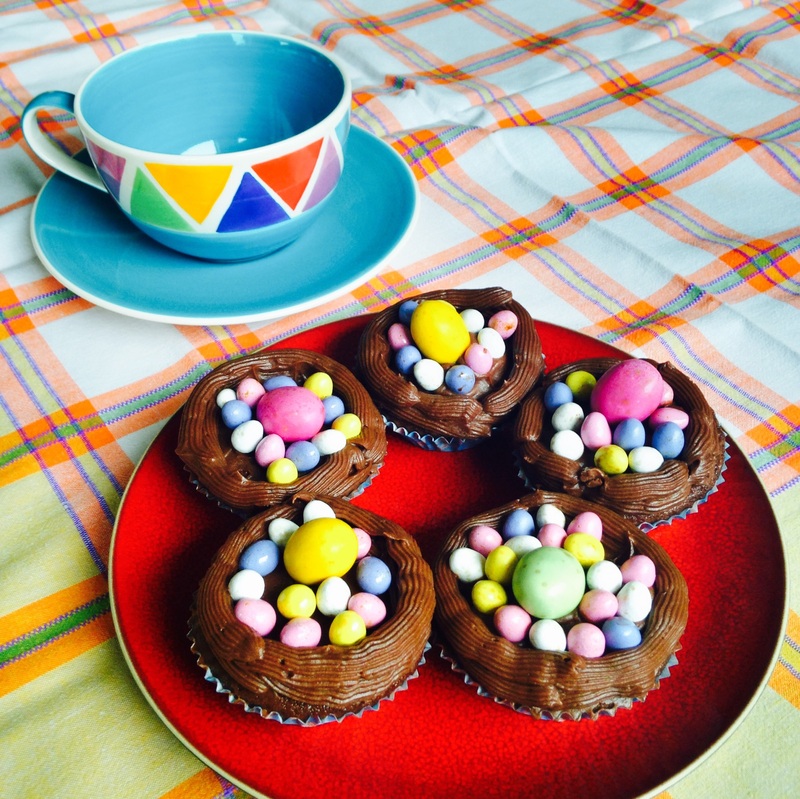 These cupcakes consist of a Chocolate sponge flavoured with Buttermilk and are topped with a Chocolate Buttercream nest which is filled with chocolate eggs! Although these cupcakes look very impressive, the design is actually very simple and easy to achieve. They are also the perfect bake to make with the kids and they will have tonnes of fun decorating their very own cupcakes! Recipe makes approximately 18 Cupcakes. Gluten Free Chocolate Eggs (such as ‘Chicky Choccy Eggs’ from Marks & Spencer). 1) Preheat the oven to 160 degrees C/Gas Mark 3 and line two cupcake tins with 18 cupcake cases. 2) Sift together the flour, cocoa powder, baking powder and salt then stir through the sugar. 3) Add the eggs one at a time beating well in between each addition. 4) Add the buttermilk, melted butter and vanilla extract then mix all until all the ingredients are fully combined. 5) Spoon the mixture into each cupcake case ensuring each one is about two thirds full. 6) Bake the cupcakes in a preheated oven for about 22 – 25 mins. You will know when the cupcakes are ready when they are firm to touch. 7) Leave the cupcakes to cool slightly before transferring them to a wire rack to cool. 8) While the cupcake are cooling prepare the buttercream icing: In a large bowl soften the butter with a wooden spoon, then add the icing sugar and cocoa powder and mix until combined. Refrigerate until needed. 10) Once the cupcakes have cooled spread a thin layer of the buttercream onto each one. 11) Transfer the rest of the icing into a piping bag and pipe two circles around the edge of the cupcake one on top of the other to create nest shape. Don’t worry about being too neat! 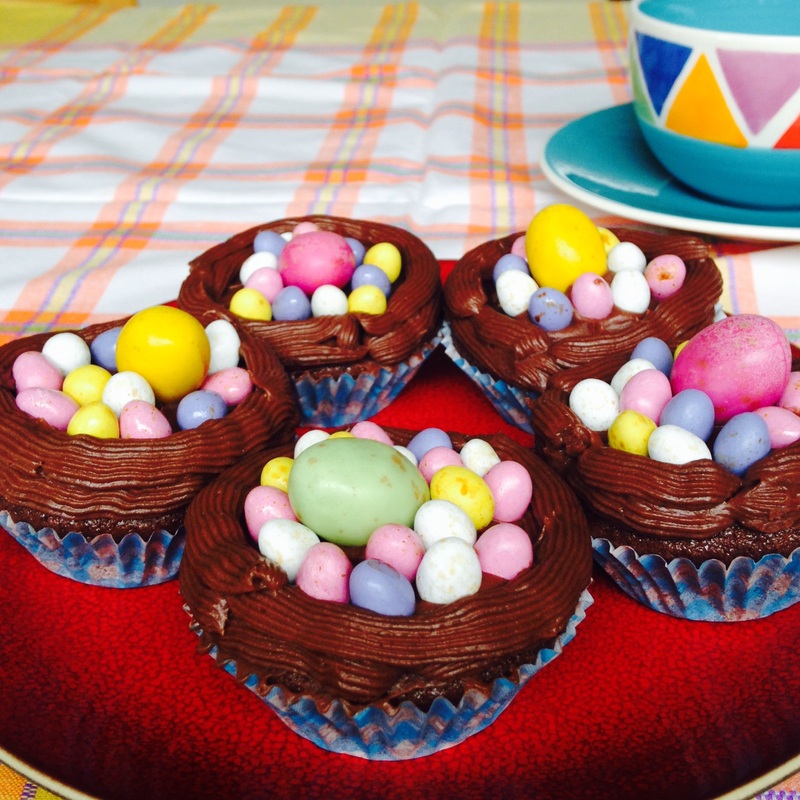 12) Fill the middle of the nest with Chocolate Eggs and then the cupcakes are ready to serve! The Cupcakes are best kept in the fridge and will keep for up to a few days. 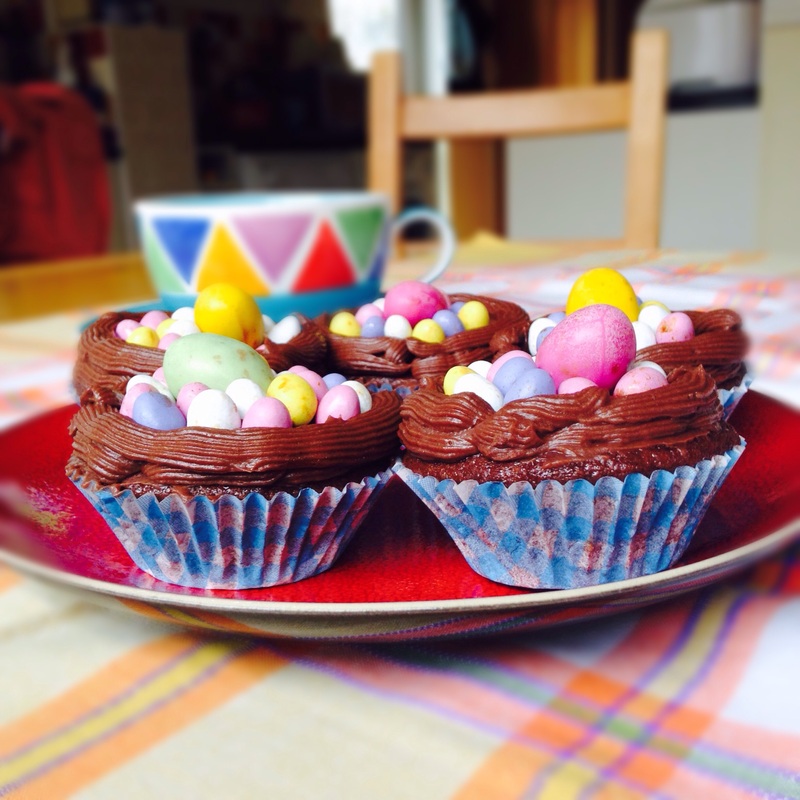 There will be more one Easter bake coming soon so keep watching this space. In the meantime, you can keep up to date with my kitchen adventures on Instagram or on my Facebook Page.